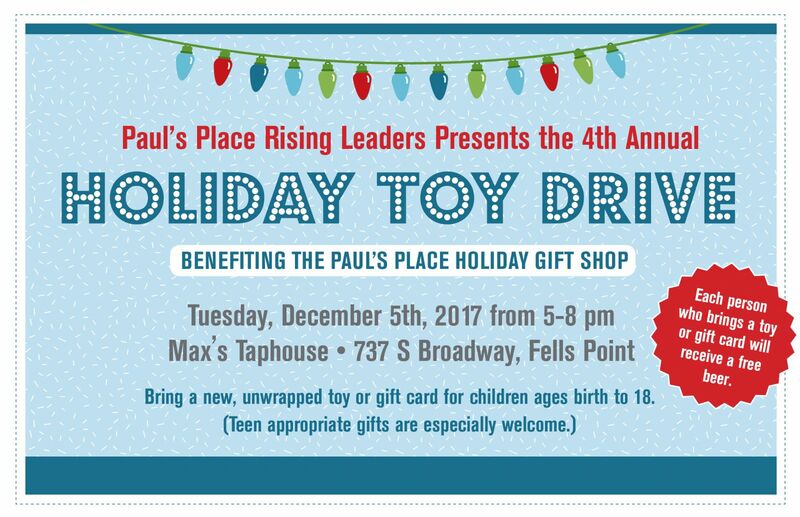 Rising Leaders' Toy Drive - Paul's Place Inc.Paul's Place Inc.
Bring a new, unwrapped toy or gift card for children ages birth to 18. (Teen appropriate gifts are especially welcome.) See the flyer for suggested items. Each person who brings a toy or gift card will receive a free beer.